According to our 100-day plan, our activities focus on four areas — smart government, smart city, smart money, smart chain. This is why we try to select companies/states in our pipeline that will bring us closer to implementing the projects in one of the four vertical areas chosen. So it’s SAP, Zyfra, Kazakhstan and Bahrain. Our current objectives for the coming autumn and winter include launching pilot trials and operating projects in the area of smart government (budget spending control, protecting against fake diplomas, etc. ), smart cities (smart utility contracts, managing city robots), smart money (social payments, education tokens) and smart blockchain (xEUR, xGOLD). Later these projects will be replicated in other countries. Negotiated with the head of India’s Trade Promotion Council regarding the opportunities to enter the Indian market. Negotiated with ANX on launching an exchange based on the URC20 protocol. Met with Expo2025 organizers to discuss possible integration of our Smart City/Smart Money technologies. Negotiated with Micron on joint development of RFID tags with Universa MainNet verification (working with INNOPROM leads). Talked to Aeroclub, Russia’s largest ticket operator, about a joint solution to control airline ticket sales. Negotiated with Zyfra on a joint solution for the Russian market (working with Innoprom leads). Talked to a communication agency regarding promotion of Universa projects. Negotiated with online marketing department to approve the development strategy for the next three months. Discussed joint training courses with SkolTech University. Negotiated with City XXI Century regarding the use of blockchain technologies in construction and management of residential compounds. 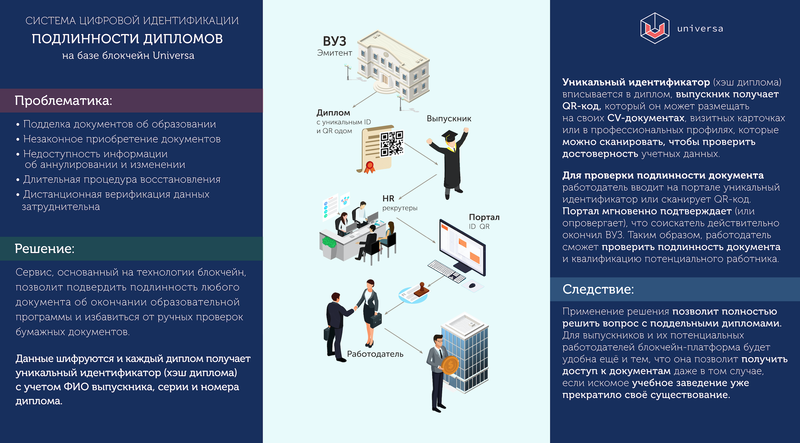 Negotiated with SAP population placing an Universa Blockchain stand at the Digital Leadership Center in Moscow, featuring an interactive demo of the technology applications in the real sector of the economy. Negotiated with one of the largest venture capital funds interested in investing into the blockchain technology. Gave a presentation on implementing smart contracts to manage city robots at the Digital Evolution Center, together with the Governor of Kaluga Oblast and Mayor of Kaluga. Foundation stone ceremony at the IT House construction site in Kaluga, together with the Mayor of Kaluga, Dmitry Razumovsky. 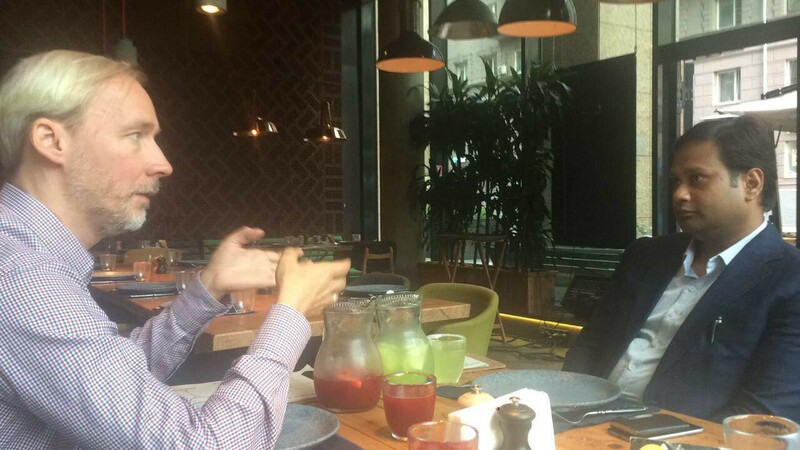 Negotiated with the National Bank of Kazakhstan on the opportunities of using Universa Blockchain technology in the Bank’s current projects. Negotiated on getting Universa Kazakhstan involved in smart contract implementation in utility service fee calculation and payment in Kazakhstan. Negotiated on using Universa Blockchain to reduce circulation of fake education diplomas in the country. 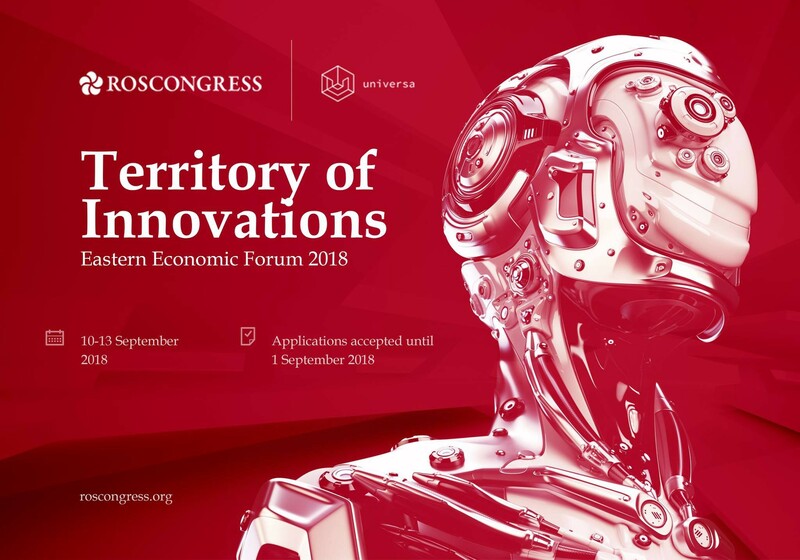 For the first time, the Eastern Economic Forum agenda will include a special series of events called “Territory of Innovations”, prepared by Universa Blockchain. We invite startups, interesting projects, developers, specialists — everyone whose technologies and products are capable of changing the world. 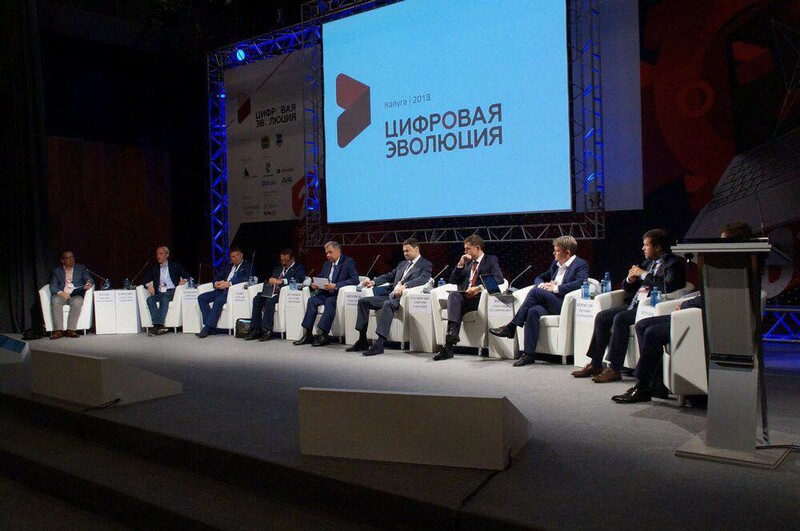 The program includes series of business sessions with Russian and foreign investors, top management of major corporations, representatives of investment and venture capital funds, and leading federal media meeting face-to-face with project authors to find startups for investment and new heroes for their publications. Participants passing the expert selection can attend EEF events for free. The participants have to cover airfare and accommodation in Vladivostok. *Link to special attendance conditions will be emailed to you after your eligibility is confirmed. Authors of the most successful projects in the investment carousel will receive access to various forms of government support, corporate partner support programs and investment. Registration is mandatory. Space limited. Registration is open until 1 September 2018. 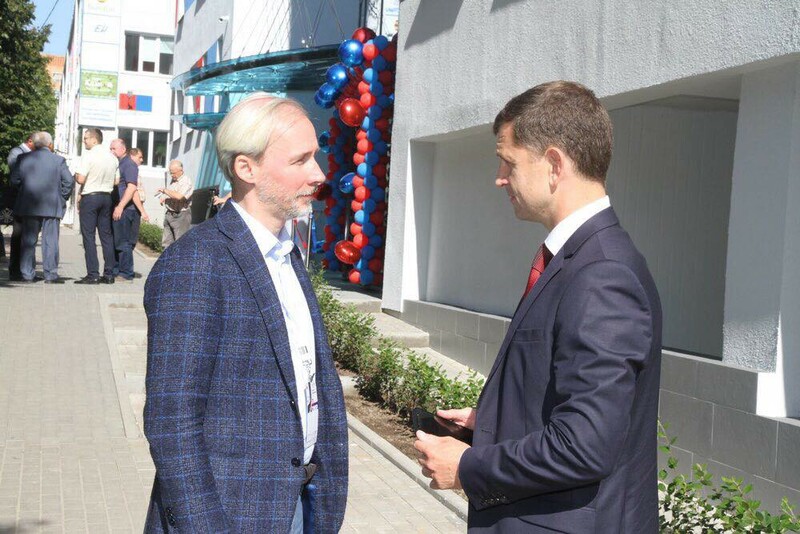 Alexander Svinin, First Deputy Chairman of Udmurt Republic, presented an information platform for electrical grid interconnection, based on Universa Blockchain technology. Watch the video from the presentation and the interview. When executing an execJS, the content of the script file needs to be transmitted. It will be executed only if the script was attached. File handling API controls normalized paths, so that a script cannot gain access to where it should not be. Extended testing and verification of a UNI-27 type token contract (using UTN and uETH as examples): a uETH/uBTC contract can be used as a template for all external convertible currencies (xUSD, xETH, xGOLD). Started automatic ERC20 (UTNP) consolidation. Improved nonce handling with multiple Ethereum payments from a single sender: now a new payment from a specific sender can be entered without having to wait for the previous one to be recorded in the blockchain. Architecture improvements for working with third-party blockchains (to further increase modular nature): complete transition to maven repositories for all internal dependencies. Started work on separating the notion of a currency/payment instrument from the API used to interact with that currency (for example, one API can be used to support several currencies, such as Bitcoin, Litecoin and Bitcoin Gold). Started the work to support Ethereum Classic. Once a backup UTNP wallet is added for UTN-UTNP exchange, the Explorer will be completed. August. Hot smart summer. was originally published in UniversaBlockchain on Medium, where people are continuing the conversation by highlighting and responding to this story. ← NewerUniversa to be listed on Bitfinex and Ethfinex! Older →Moscow gathers innovations to create a megacluster.